Jean Richardson's paintings are a kaleidoscope of raw power, movement, and fractured form and color. Her canvases almost seem a head-on collision between ancient cave paintings of Lascauz and twentieth century modernism. 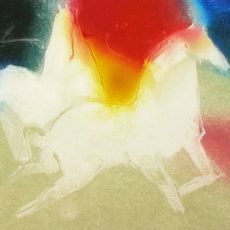 Horses prace, stomp, run and leap across a Richardson painting. Lines are not drawn, but manifested by fluid ridges of pigment left int he wake of a liberally and deftly implemented palette knife. Her surfaces are pure paint and print from a completely spiritual and personal source. Jean's painting style might best be described as "severe elegance". Muted earth tones bump into fields of vibrant, joyful washes; graceful, sinuous motion fuses lyrically with passages of erratic, anzious energy. Never sweet or "pretty", Jean's creations are always uncompromisingly, ethereally beautiful. Jean was born in Hollis, Oklahoma. She earned her BFA degree from Wesleyan College is Macon, Georgia, and continued study with the Art Students League in New York. Jean is credited in Who's Who in America and Who's Who in the South and Southwest. Her work has been exhibited at the National Academy of Design, the Minnesota Museum of Art, the Gilcrease Museum and the Philbrook Museum, both in Oklahoma. Jean Richardson's paintings are a kaleidoscope of raw power, movement, and fractured form and color. Her canvases almost seem a head-on collision between the ancient cave paintings of Lascaux and twentieth century modernism. 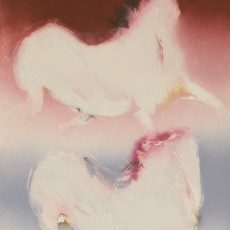 Horses prance, stomp, run and leap across a Richardson painting. Lines are not drawn, but manifested by fluid ridges of pigment left in the wake of a liberally and deftly implemented palette knife. Her surfaces are pure paint and spring from a completely spiritual and personal source. Jean's painting style might best be described as "severe elegance". Muted earth tones bump into fields of vibrant, joyful washes; graceful, sinuous motion fuses lyrically with passages of erratic, anxious energy. Never sweet or "pretty", Jean's creations are always uncompromisingly, ethereally beautiful. Jean was born in Hollis, Oklahoma. She earned her BFA degree from Wesleyan College in Macon, Georgia, and continued study with the Art Students League in New York. 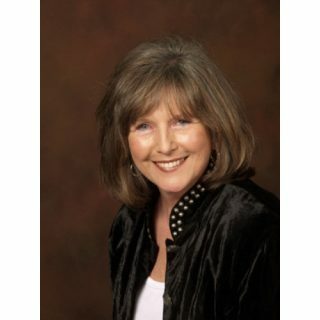 Jean is credited in Who's Who in America and Who's Who in the South and Southwest. Her work has been exhibited at the National Academy of Design, the Minnesota Museum of Art, the Gilcrease Museum and the Philbrook Museum, both in Oklahoma.